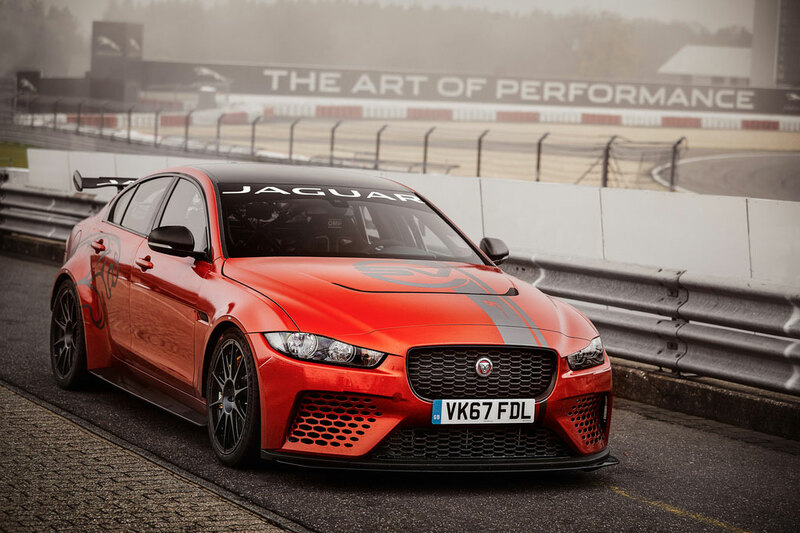 Jaguar Special Vehicle Operations took its awesome XE SV Project 8 four-door car to the Green Hell of the Nürburgring and unleashed the orange beast on the track with pro driver Vincent Radermecker behind the wheel. He took the sedan and proceeded to put down a record-setting lap time besting the previous 4-door production car record by 11 seconds. Dang. The time the Jag put in was an impressive 7 minutes, 21.23 seconds. Jaguar says that the lap time was quick enough to make the four-door car faster than some of the fastest 2-door coupes and mid-engine supercars in the world. The record-setting run was done with a Project 8 using Track mode and stock parts down to the Pilot Sport Cup 2 tires fitted from the factory. You can check out in-car footage of Radermecker’s smooth and effortless looking record run in the video below. The Project 8 is headed to production with Jaguar promising to build a limited run of 300 cars globally. There will be two versions of the car, one having four seats. The other version will be a Track Pack with only two carbon fiber racing seats, along with 4-point harnesses.